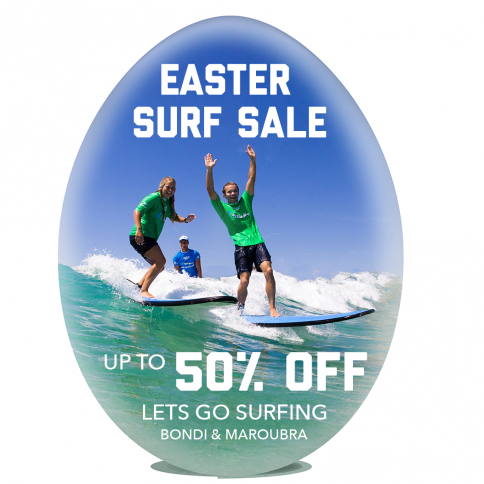 Forget the chocolate eggs this Easter… come in store and get yourself a new board and wetttie as we are holding the most amazing sale! Up to 50% off boards and wetsuits! Yes that’s right…. 50 % off.. you won’t find it cheaper online. Plus come in store and you get to speak to the softboard experts who will match you with the right board and get you fitted in the best wetsuit!